On Tuesday morning – the 123rd birthday of Yosemite – all 401 of the United States’ national parks and monuments, along with millions of acres managed by other federal agencies, furloughed their employees and closed their gates. End result: no visits to the World War II Memorial, the Statue of Liberty, or Ellis Island. No walk-throughs at the Golden Gate national recreation area, or hiking the trails in Yellowstone’s 2m-acre wilderness. 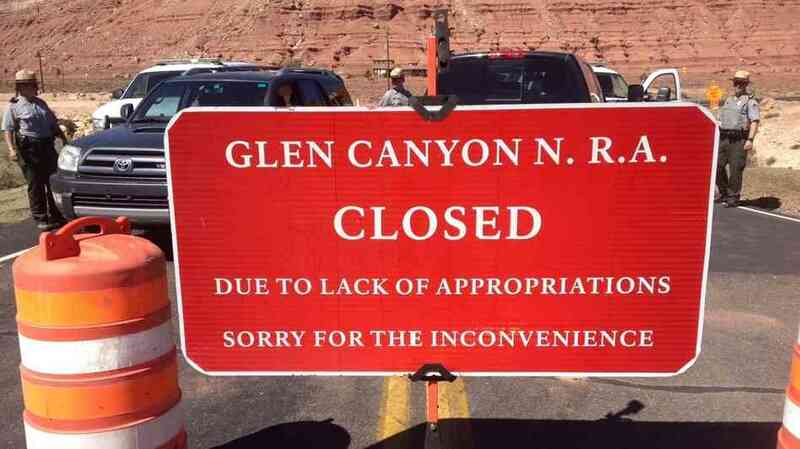 It means no rafting the Grand Canyon or boating the Everglades. 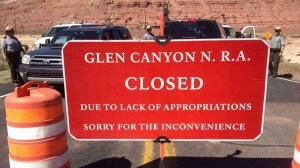 All of this because one single grand monopoly (aka the Federal Government) is holding every key to every gate and has decided that paying its thousands of park and monument employees is suddenly superfluous spending…but paying guards to keep people away from enjoying the now cloistered spectacles isn’t. However, the Park Service estimates that on a typical October day, more than 700,000 visitors come through its parks and monuments, many of them after planning their trip for years. And as the visitors vanish, so does their money. By some estimates, local towns surrounding the parks and monuments stand to lose over $30m for each day the parks remain closed. As a consequence, it very well may be that the government is actually losing money by temporarily shutting these locations down than by keeping them going as normal. But this isn’t the only illogical furlough – it seems that the government is actually willing to shut down websites even if it costs more than keeping them up. Ah well…at least the US Federal Spending counter is running backwards…for now.